Lok Sabha Election 2019: Traders Praise BJP's Welfare Board Promise, Congress Says "Honey-Trap"
Traders Praise BJP's Welfare Board Promise, Congress Says "Honey-Trap"
Lok Sabha Election 2019: The BJP has promised it will establish National Traders' Welfare Board and create a national policy for retail trade for the growth of retail business. Election 2019: A BJP leader said the board will act as a bridge between the government and the traders. 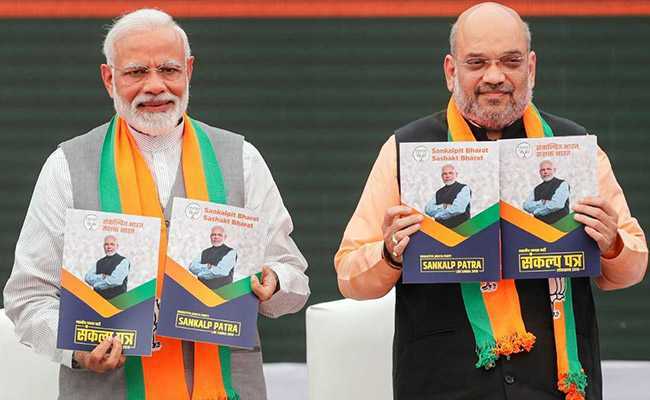 Unveiling the manifesto - Sankalp Patra - for the general elections on April 8, the BJP had said it will establish National Traders' Welfare Board and create a national policy for retail trade for the growth of retail business. The proposed board, Mr Tripathi said, will also be effective in curbing atrocities against traders.